The white nationalist H.L. 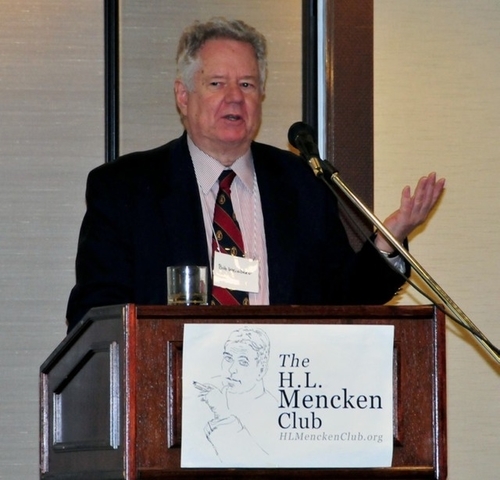 Mencken Club gathers tonight for its ninth annual conference. A band of white nationalists, pseudoacademic and academic racists plan to come together tonight at the ninth annual H.L. Mencken Club conference just outside of Baltimore. The Club, founded as an annual gathering for “independent-minded intellectuals and academics of the Right,” has hosted some of America’s most prominent white nationalist ideologues in the past, and serves as a safe space for professors to vent their racist views, something they clearly had to keep quiet during their time in academia. The theme of this year’s event is “The Right Revisited,” which seems fitting, considering the recent mainstreaming of the Alt-Right during the 2016 election. The “Alt-Right” is a set of far-right ideologies, groups and individuals whose core belief is that “white identity” is under attack by multicultural forces using “political correctness” and “social justice” to undermine white people and “their” civilization. Robert Weissberg, addressing a previous Mencken Club conference. Gottfried’s almost decade-old call has not come to fruition, with “intellectuals” in the Alt-Right movement remaining marginalized and widely discredited, despite the attention to the movement the 2016 election has brought. Gottfried once argued that Martin Luther King Jr. had pushed the nation onto a path that “had more to do with political coercion and relentless indoctrination than with appeals to conscience.” Many of the others attending the conference are no different. English white nationalist John Derbyshire is scheduled to talk about the Alt-Right. 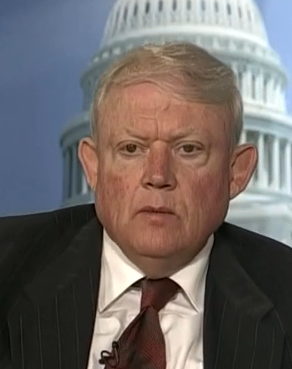 Derbyshire, a regular at the Mencken Club gatherings, was formerly a contributor for National Review before being banished for writing an essay suggesting that white and Asian parents should warn their children that black people pose a threat to their safety. Another scheduled speaker is Robert Weissberg, a retired professor of political science at the University of Illinois who was also fired from National Review in 2013. Weissburg has called African-Americans “the stupid black” and has addressed the annual American Renaissance gathering, another pseudoacademic racist conference, headed up by white nationalist Jared Taylor. Also scheduled to speak is Stanley Payne, well-known professor emeritus of history at the University of Wisconsin-Madison. Payne is a historian of modern Spain and European fascism, whose lengthy bibliography includes books on Spanish fascism, the Spanish Civil War, and one on Spanish dictator Franco and Hitler. Payne will be speaking on "The Right and the Fascist Experience." William Lind, a well-known figure on the Christian Right will speak for the first time at the club on “The Right and Foreign Policy.” Lind, a contributor to right-wing magazine American Conservative, addressed a 2002 Holocaust denial conference, organized by Willis Carto, one of the most active and influential white nationalists of the past century. Though Lind admitted during his 2002 speech that he did not deny that the Holocaust happened, he did talk about a small group of people he claimed have poisoned American culture. "These guys," he explained, "were all Jewish.” The audience included internationally known Holocaust deniers and a former SS officer. A strange choice, perhaps, for this gathering, given that Gottfried and Weissberg are Jewish.